CNPA President Paulette Brown-Hinds and President-elect Chuck Champion visited the CNPA Services Inc. offices all day Tuesday to meet those who handle its extensive day-to-day operations. Before the leaders adjourned mid-afternoon to commence bylaw and budget meetings, we got a photo. Front row, from left: Kari Sorenson, Jennifer Davee, Brown-Hinds, Tiffany Chiang, Whitney Prout. 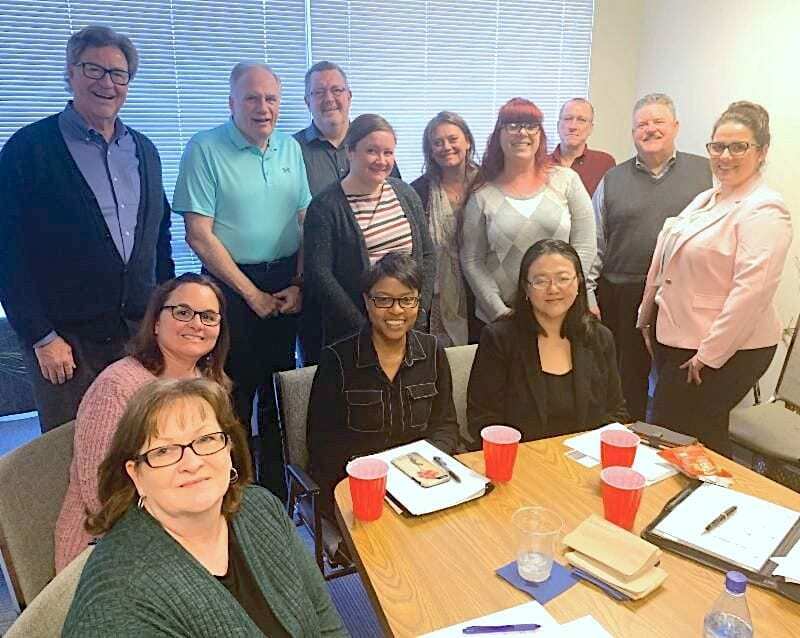 Back row, from left: Tom Newton, Champion, Jim DeArman, Tamara Warta, Renee Smith, Ashley Bryant, Simon Birch and Jim Ewert. Cecelia Drake had to take a call. Joe Wirt took the picture.